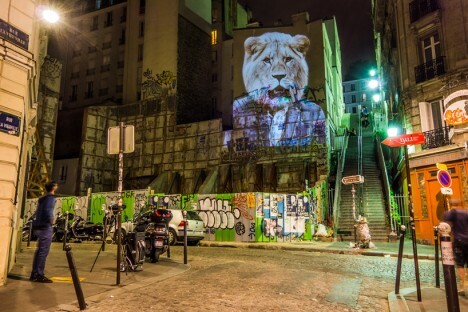 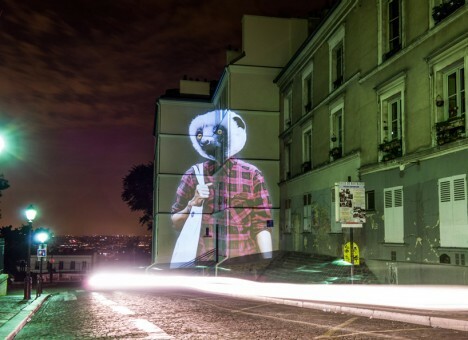 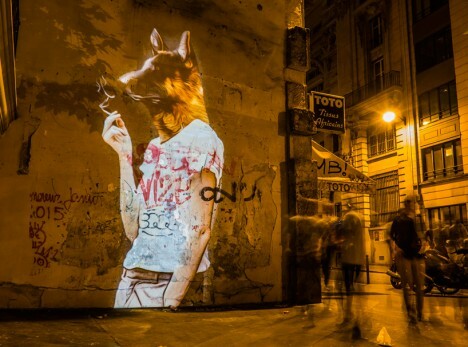 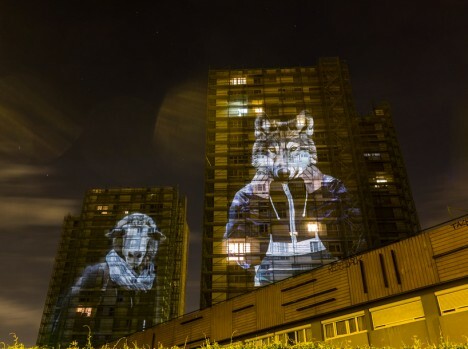 Soaring up to six stories in height, these lemurs, deer, gorillas, eagles and other carefully clothed creatures projected onto buildings all over Paris are mocking your fashion choices. 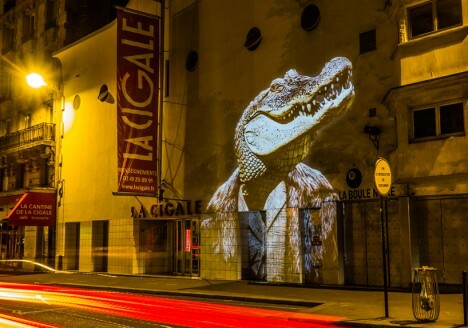 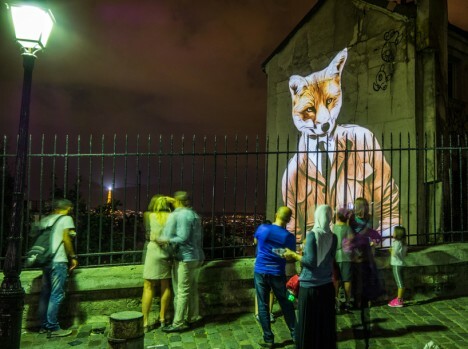 The exotic animals – which certainly can’t be found in the streets of the city otherwise – might seem like just a bit of fun, or a statement on the lack of nature in urban environments, but the creator of the project has something a little deeper to say. 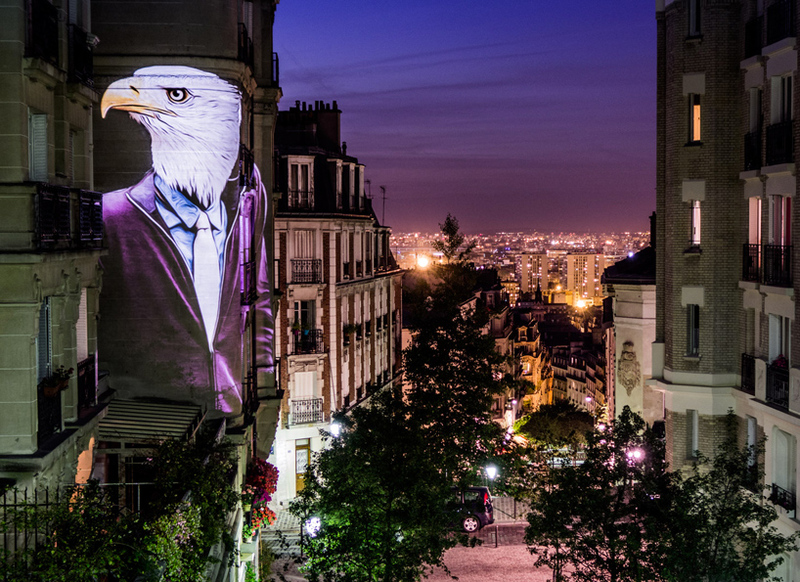 Artist Julien Nonnon has spent all of September beaming his creations onto building facades after the sun sets, in a mix of street art and video mapping. 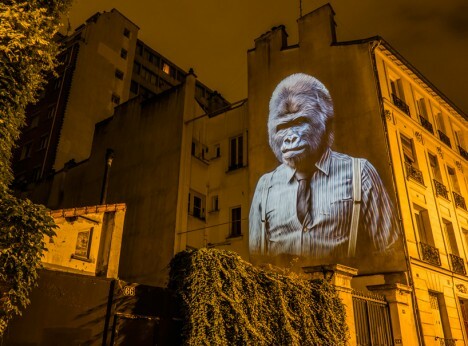 For ‘Safari Urbain,’ Nonnon developed his own tools to project the images anywhere from life size to the full height of towering apartment buildings. 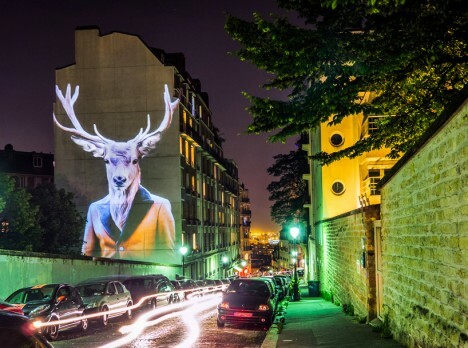 Some of the animals are clad in three-piece suits, others in plaid flannel shirts or hoodies, echoing the fashions seen among the human passersby who stop to gaze up at them. 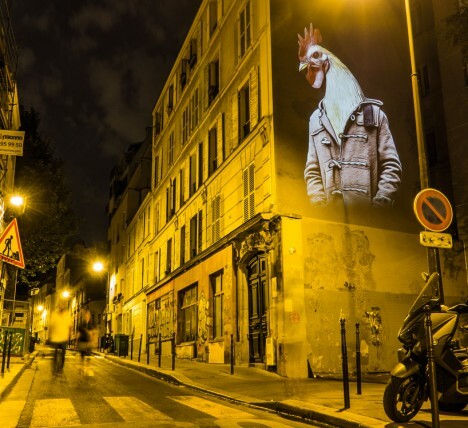 The point, says Nonnon, is calling attention to how we contradict ourselves with what we choose to wear, wishing to be unique while simultaneously marking ourselves as part of a clearly defined group in an attempt to fit in.